Published: Oct. 21, 2018 at 04:00 p.m. 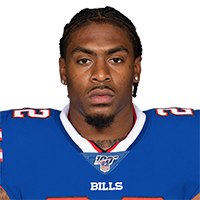 Published: Aug. 17, 2018 at 08:48 p.m.
Buffalo Bills running back Marcus Murphy rushes 22 yards. Published: Aug. 9, 2018 at 08:44 p.m.
Buffalo Bills running back Marcus Murphy shows patience and then speed on a 7-yard touchdown run.